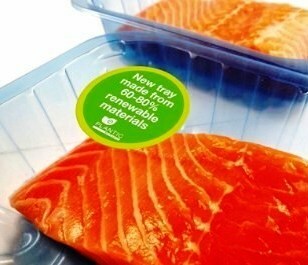 Plantic Technologies Ltd, a supplier of bioplastics based in Australia, confirmed a deal with Profish Food BV, Netherlands, to supply its eco Plastic trays to the European retail fish pack market. Up to 80% of Plantic’s eco Plastic is made from commercially grown natural raw materials that are certified as bio-based renewable material. The company notes that no investment in new processing or packaging technology is required and it is a drop-in replacement for a range of traditional plastics used in high-barrier packaging. “Our life cycle assessment shows that, over the course of 12 months, the impact of adopting Plantic eco Plastic trays begins to add up – each 100 million tons (MT) of eco Plastic used in place of oil based polymers will reduce carbon emissions equivalent to planting 42,100 trees or taking 130 cars off the road. It would also save enough electricity to power over 70 homes for a whole year.” Explains Brendan Morris, CEO of Plantic Technologies Ltd. Managing Director of Profish, Frank Schreur, comments, “For many years we have sourced and packed sustainable fish and now we are doubling up by using sustainable trays.” Profish is a sourcing agent, processor and distributor of quality fresh fish.According to Plantic, Profish is the first European fish company to adopt its eco Plastic technology.